So Landri didn’t like her cupcake. What? Is she related to me??? She refused to eat it! She got messy and I was able to snap a happy picture of her with it even though she mostly cried the entire time it was in front of her. I had to even break it apart for her because she wouldn’t even touch it! 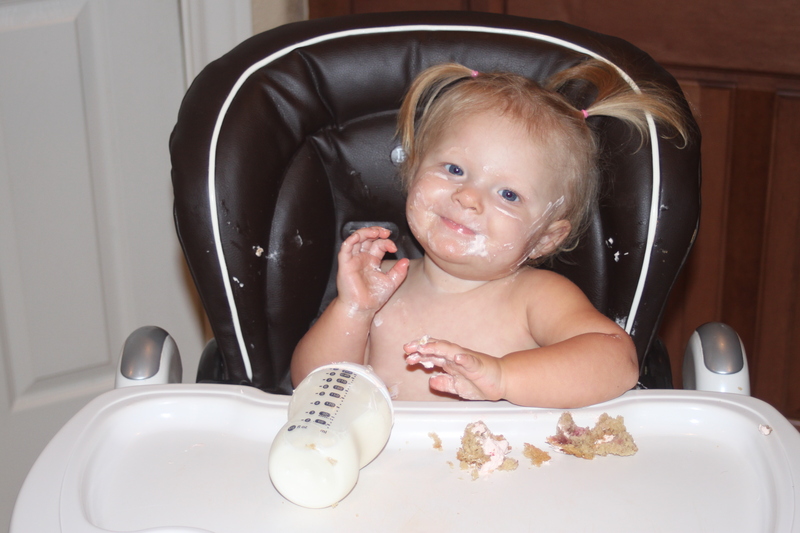 She got icing on herself by accident, seriously! Previous Post 12 Months: WHAT?! Next Post Sewing Time Again!